Two slumlord brothers with a Friend-of-Bill lawyer who’s been scaring up checks for the mayor’s national political action committee just got a $173 million payday when the de Blasio administration decided to buy 17 of their buildings and convert them from lousy cluster-site apartments for the homeless to permanent affordable housing. Then the city refused to turn over its appraisals for the properties, the first of which said the buildings were worth about $50 million, the second of which, by an independent contractor, put their value at $143 million. Jerusalem (AFP) – Prime Minister Benjamin Netanyahu, a skilled survivor of Israel’s cutthroat politics, is hoping snap elections will help him withstand a potential corruption indictment, analysts say, and polls show he is likely to succeed. Netanyahu’s government decided on Monday to hold snap elections on April 9, seven months early, as it struggles to pass legislation with only a one-seat majority in parliament. Israel’s parliament, or Knesset, must still formally vote to dissolve itself and set the election date. A first vote was scheduled for Wednesday. Failure to agree on a key bill on the enlistment of ultra-Orthodox Jews in the military like their secular counterparts was the ostensible reason to call elections, but many analysts pointed to Netanyahu’s legal concerns as a decisive factor. Israel’s state prosecutor Shai Nitzan told a conference last week that he was wrapping up his recommendations on three separate cases of alleged corruption and handing them over to the attorney general. Israeli media reported that they include a recommendation to indict the prime minister. Analysts say it seems Netanyahu wants to confront the potential charges with a fresh electoral mandate and is betting the attorney general will not issue his decision before April. “What made him decide to move up the date of the elections was the speech by Shai Nitzan, who announced that his recommendations were ready,” said Emmanuel Navon, political science professor at Tel Aviv University. So far, the legal cases against Netanyahu appear to have had little impact on voters, and a poll taken after Monday’s announcement of April elections showed his Likud party would remain by far the largest. Victory in April would put Netanyahu, the 69-year-old son of a historian who is no doubt mindful of his legacy, on track to become Israel’s longest-serving prime minister, surpassing founding father David Ben-Gurion. A decisive win will allow him to ramp up his argument that the investigations are merely the result of a plot by his political enemies to force him from office against the will of the electorate. He is not required to step down if indicted, and there is little doubt that he would refuse to do so. Gideon Rahat of Jerusalem’s Hebrew University and the Israel Democracy Institute think tank said he does not believe Attorney General Avichai Mandelblit should take the campaign into account in determining when to issue his decision. But he will surely feel pressure to do so, said Rahat. “I would say that he would probably prefer to wait until after the elections because he wouldn’t like to be blamed for influencing the elections or for trying to influence the elections,” he said. With Israel’s centre-left opposition in disarray, Netanyahu’s main electoral threat appears to come from the right and centre. His reputation as Israel’s “Mr. Security” accounts in large part for his electoral success, but it took a hit over a controversial Gaza ceasefire in November. That truce led to the resignation of defence minister Avigdor Lieberman and the removal of his party’s five seats from the coalition, seen as the most right-wing in Israel’s history. Netanyahu worked then to hold the coalition together and has managed to do so until now. There was speculation he wanted to wait to push for polls until anger over the ceasefire calmed. 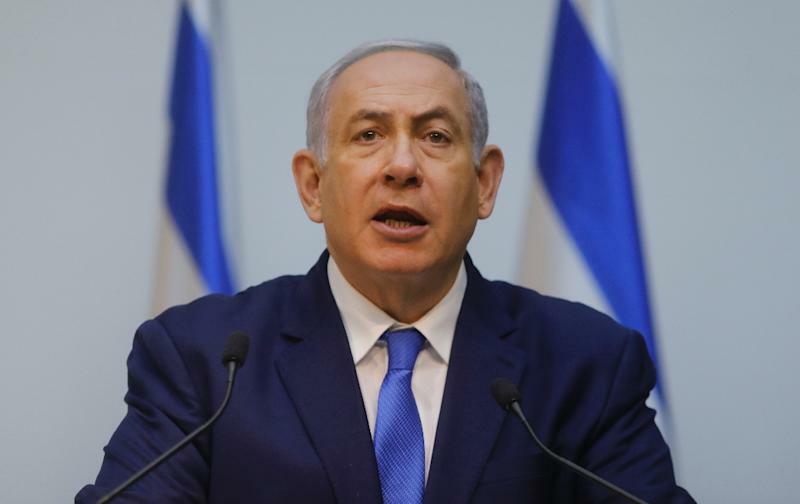 After Monday’s announcement, Netanyahu faced fresh criticism over his argument in November that it would be irresponsible to go to elections because the country was facing a sensitive security situation. It was an apparent reference to an upcoming military operation to destroy Hezbollah tunnels from Lebanon that was announced earlier this month. Asked on Monday why now was a better time, Netanyahu said the operation was nearly complete. Wildcard candidates could still emerge in the electoral campaign and pose a threat to Netanyahu. Much of the focus was on former military chief of staff Benny Gantz, who polls show could do well, but he has given no word on his intentions. While Netanyahu may succeed in his election gamble, the legal cases will remain and he will likely have to reckon with them eventually. He “realised that the sand in the hourglass was running out,” political columnist Ben Caspit wrote in the Israeli newspaper Maariv. R&R and Cops for Wingmen? Why Was the Nurse so Easily Wooed? Lots of guys have a wingman — but when married mayoral donor Jeremy Reichberg tried to impress a lady, he had NYPD brass and a police chauffeur at his beck and call, according to court testimony Wednesday. In 2014, Reichberg got a sergeant to drive her to and from a nail salon on Church Street in Brooklyn, Mt. Sinai-based registered nurse Tara Sheils told jurors at the NYPD bribery trial in federal court in Manhattan. “I wanted to get a manicure and pedicure,” the flame-haired nurse told jurors, testifying for the prosecution against ex-NYPD Deputy Inspector James Grant, who allegedly pocketed bribes from Reichberg and Jona Rechnitz, a fellow donor to Mayor Bill de Blasio. The nurse first met Reichberg when he was hospitalized for emergency gallbladder surgery — during which time an NYPD officer guarded Reichberg’s hospital door, an honor normally reserved for injured cops. Reichberg and Sheils’ relationship was first revealed in November. 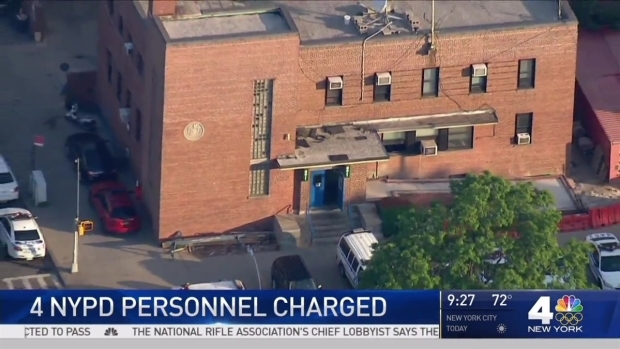 As part of his flirtations, Reichberg arranged for Sheils to enjoy an NYPD promotion ceremony at police headquarters, where she was given a personal tour and then invited into the offices of convicted ex-NYPD Deputy Chief Michael Harrington and ex-Chief of Department Philip Banks. Reichberg had already given her Harrington’s cellphone number — with instructions to call if she needed anything, she testified. Harrington has been sentenced to two years’ probation in the corruption probe. A Jewel of a Statement, Rechnitz and Comments – Missing Jewelry and Hookers – Why is he Deemed Credible? After eight days on the stand, corrupt Mayor de Blasio donor Jona Rechnitz ran out of patience and helped a defense attorney complete a list of his many misdeeds. “You’re missing jewelry and hookers,” Rechnitz said in Manhattan Federal Court Wednesday, drawing guffaws from the audience filled with people who loathe him. The comment came as Susan Necheles, an lawyer for police buff Jeremy Reichberg, wrote a list titled “alleged bribes” that was shown to a jury. Rechnitz’s bribes were broken down into three categories: gifts, meals, entertainment and trips. “You should put ‘hookers’ everywhere,” Rechnitz said, later correcting himself to say he did not use prostitutes as bribes while on trips to Los Angeles and Israel. Rechnitz is testifying against Reichberg, his former friend, and ex-NYPD Deputy Inspector James (Jimmy) Grant. Rechnitz has said he donated over $100,000 to de Blasio’s pet causes early in the mayor’s tenure in exchange for access to City Hall. Rechnitz also says he and Reichberg showered cops, including Grant, with gits in exchange for police favors that made them look like big shots. The gifts, according to Rechnitz, included a prostitute on a 2013 private flight to Las Vegas, as well as call girls on trips to the Dominican Republic and Miami for an SEC bowl game. Outrageous: Shelly Silver, one of the worst abusers of the public trust in recent New York history, just got his 2015 conviction tossed on technical grounds. Prosecutors promise a new trial, but justice has already been delayed far too long here. A federal appeals court Thursday tossed the former Assembly speaker’s 2015 corruption conviction because a later Supreme Court ruling tweaked the rules for what counts as political corruption. Yet the same 2nd Circuit of Appeals had just affirmed the bribery conviction of ex-Assemblyman William Boyland Jr. despite similar issues. And the evidence against Silver proves corruption under the new rules as well as the old. The then-speaker funneled some $500,000 in state grants to a doctor who, in turn, sent patients to Silver’s law firm, Weitz & Luxenberg — which then paid Silver for the referrals. In another scheme, Silver voted to OK tax-exempt financing for a real-estate developer, Glenwood Management, and for favorable rent- and tax-abatement laws. In exchange, Glenwood took some work to the firm of another Silver pal, which in turn paid “fees” to the speaker. Silver pocketed at least $4 million from these kickbacks. At trial, his defense boiled down to “everybody does it.” But while the Legislature is indeed profoundly corrupt, that doesn’t make any of it legal. And certainly not these abuses of power by a man who ruled as speaker for more than two decades. Yes, the Supreme Court last year tossed the corruption conviction of ex-Virginia Gov. Bob McDonnell over too-broad instructions to the jury about what defines “official acts.” But Silver’s case involved far more clear-cut bribes — and more clear-cut abuse of power — than McDonnell’s. Let’s hope prosecutors move quickly to a new trial. The best medicine for New York’s rampant corruption is swift, harsh punishment for the abusers. And Silver, 73, has already been free for far too long. A federal appeals court on Thursday overturned ex-Assembly Speaker Sheldon Silver’s corruption conviction, according to court documents. In March federal prosecutors in the Silver case faced sharp questioning the appeals panel, which was worried about whether the conviction could survive a new U.S. Supreme Court decision narrowing the scope of “official acts” that can be the subject of a bribe. The arguments provided a first glimpse of how the 2nd U.S. Circuit of Appeals in Manhattan would interpret the high court’s 2016 ruling in a case involving former Virginia Gov. Robert McDonnell, which held prosecutors must show an actual exercise of government power, not just a meeting or phone call. It drew an overflow crowd, including prosecution and defense lawyers prepping to argue the same issues on the conviction of former Senate leader Dean Skelos, as well as U.S. District Judge Kimba Wood, who presided at Skelos’ trial, and new Acting U.S. Attorney Joon Kim. Silver was convicted in 2015 of sponsoring grants and doing other favors for an asbestos doctor who referred patients to the Speaker’s law firm, and also collecting legal referral fees from real estate developers whose legislation he supported. The Democrat was sentenced to 12 years in prison, but has remained free while appealing. Steve Molo, Silver’s lawyer, said the former Speaker deserved a new trial because the evidence included both actual exercises of government power and lesser favors — like meeting with real estate donors and job references for the doctor’s children. U.S. District Judge Valerie Caproni’s instructions gave jurors the latitude to convict on either, he argued. “It was inconsistent with what the law is now,” Molo said. But prosecutor Andrew Goldstein contended that the case involved actual legislative acts, not just the constituent courtesies the Supreme Court said were insufficient in McDonnell’s case. When the judges cited lesser favors which prosecutors had also argued were official acts, Goldstein said they were all part of a larger “scheme,” and were elevated by Silver’s power and clout. Please see the article in its original format on Newsday by clicking here.